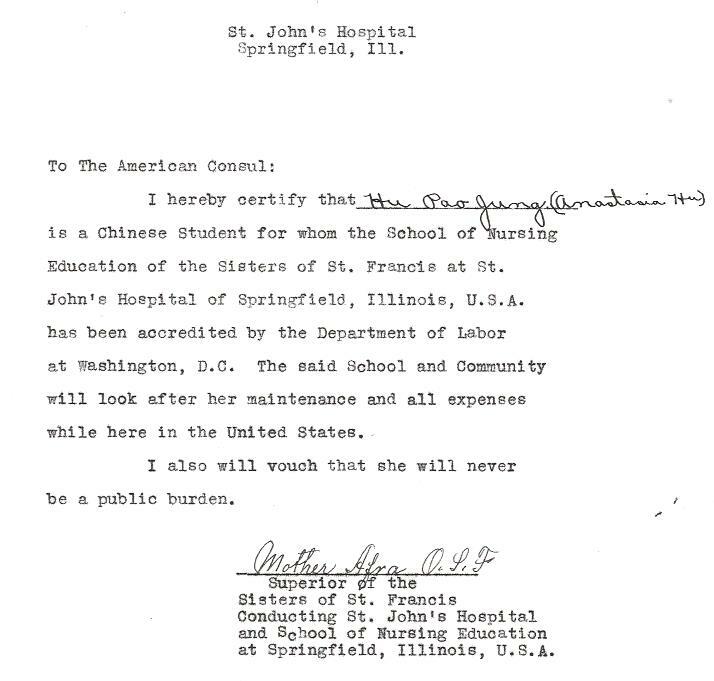 “Lawrence Leong, Witness Affidavit,” 10 June 1940, Edward Leong (Leong Kwong Yin) Case File; Chinese Exclusion Act case files, RG 85, National Archives-Seattle, Box 814, Case 7030/13183. 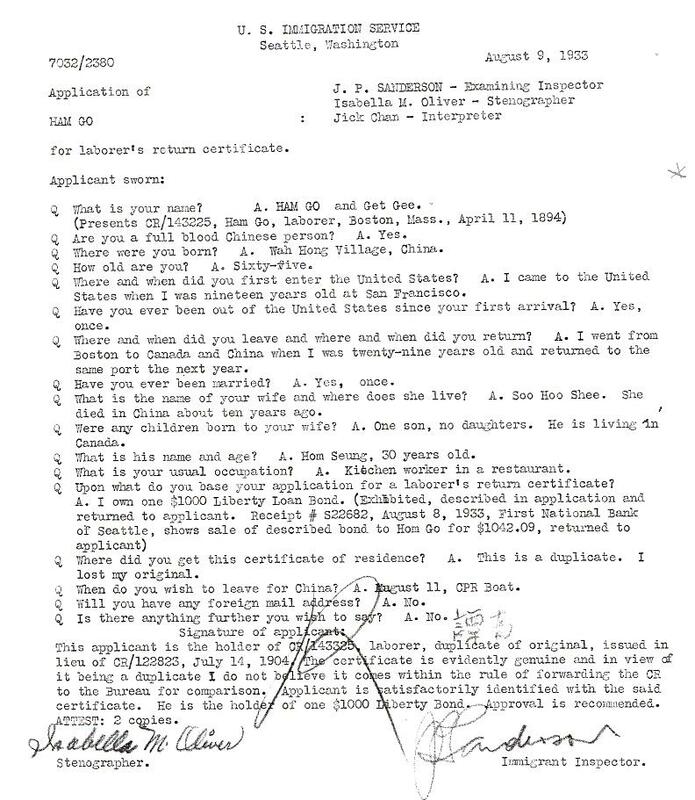 Lawrence Leong’s affidavit tells us that he was born in Berkely [sic], California on 29 August 1906 and Edward Leong is his brother. 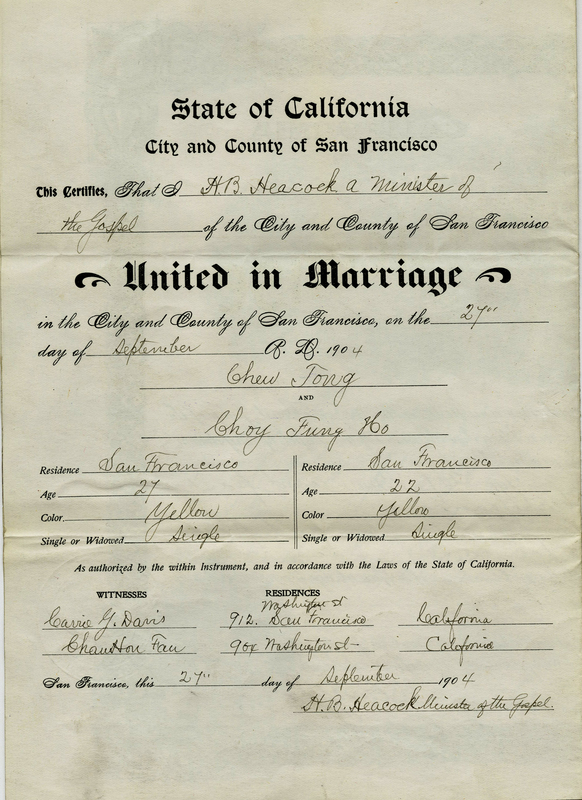 Edward was born in San Francisco on 6 December 1908. 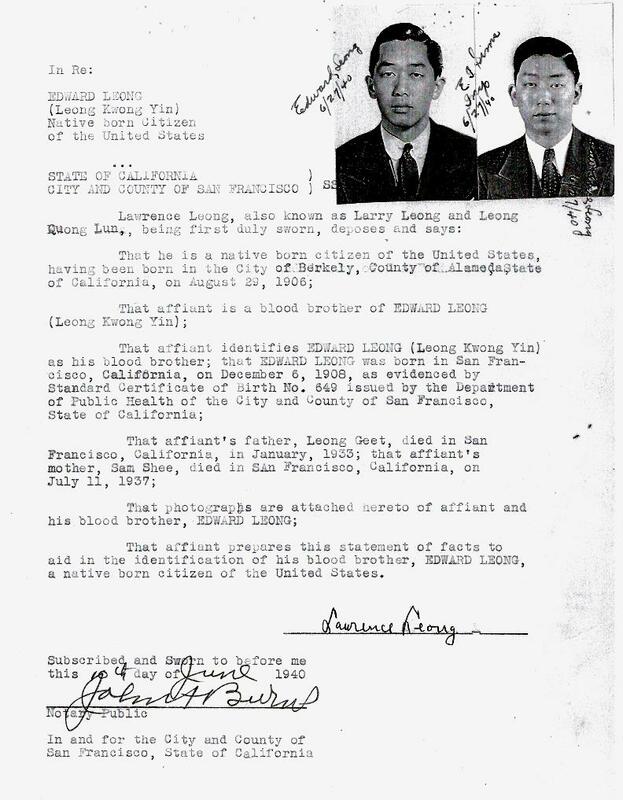 Their father, Leong Geet, died in January 1933 and their mother, Sam [Sum] Shee, died on 11 July 1937. 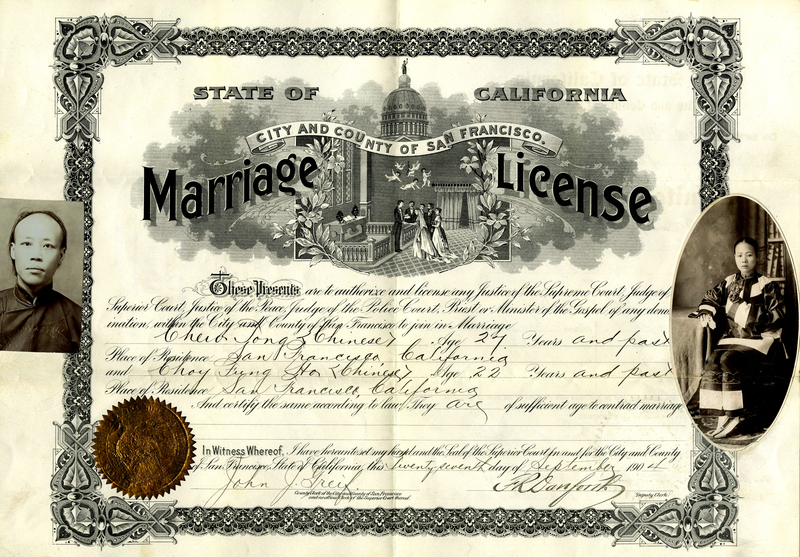 Both died in San Francisco. 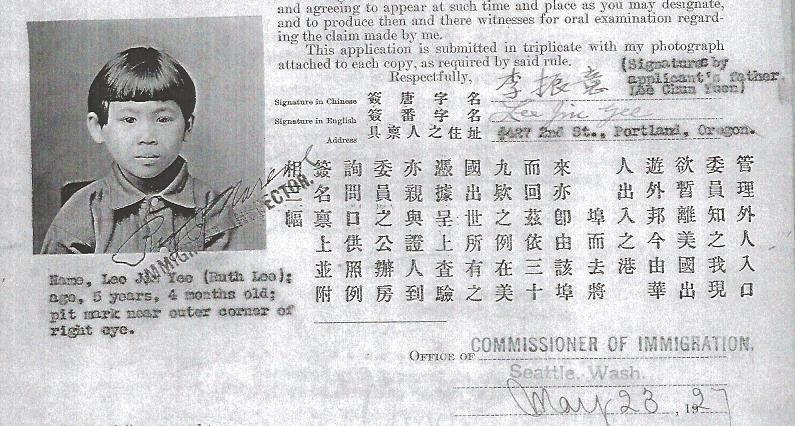 Certified copies of the birth certificate for Edward Leong and the death certificate for his mother, Leong Sum Shee, are included in the file.